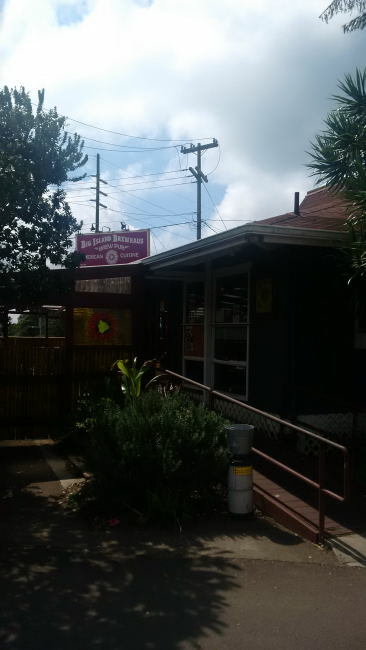 I just got back from a vacation to the Big Island of Hawaii and stumbled upon a brewery that I had never heard of. I just happened to walk by the beer section of the small local grocery store and saw 3 bombers from a Hawaiian brewery I had never heard of. Once I opened one of the bombers and tried it I knew I had to go! Luckily for me Big Island Brewhaus was only between an hour or an hour and a half drive from where we were staying and it was a beautiful mountain highway drive. There was no way I was going to miss out on checking this brewery out so my and my girlfriend got into our rental car and took a beautiful scenic drive (although slow, as the speed limits are maddeningly slow on the island). Beyond the fact that they produce award winning craft beer in very small batches they also make some amazing Mexican food. I love the fact that this brewpub does not make regular old pub food but instead is a Taqueria that makes amazingly flavourful Mexican food. Seeing as I drove I was very happy to see that they sold beer by the paddle. 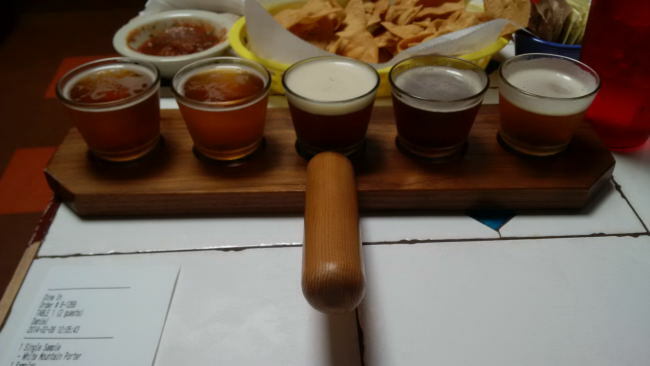 The paddle consisted of 5 beer at around 3.5oz each and you had your own choice of their beer. I sampled 5 awesome beer including their Overboard IPA, Paniolo Pale Ale, Red Giant Ale, Red Sea of Cacao and Hoptopias IPA. Every beer I tasted was great although their IPA’s are the real stars. I will be reviewing all five beer in the next little while. With the beer I also ordered the Spicy beef tacos. These were to die for with the spicy beef on proper soft corn tortillas. My Girlfriend also had their Cheese enchilada and it also tasted amazing although I did not take a photo of it. Lets start with some photos of the Taqueria. After dinner I asked if I could take a look at the brewery as it was in a separate building. Luckily the guy in charge was in the restaurant at the time and I was given the honor of checking out their brewery. The brewery is only 3 years old now and they have only been bottling for about 6 months now as of Feb 2014 and they only distribute to some of the Hawaiian Islands. This brewery really reminded me of some of the small, almost nano breweries in Metro Vancouver. This brewpub is now one of my favourite brewpubs I have ever eaten/drank at. The food was amazing and the beer was better. 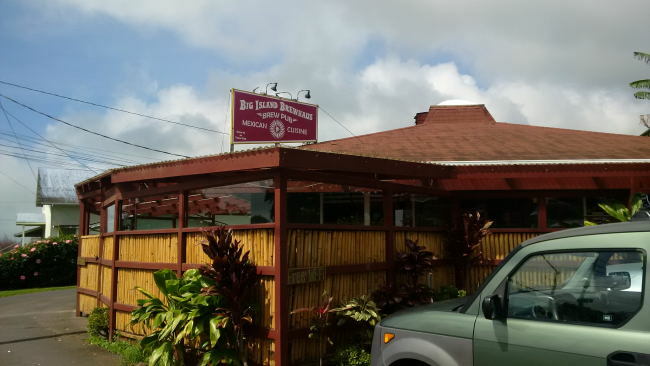 The staff was all very friendly and the service was pretty quick for small town Hawaii (not super quick but friendly and helpful). I am so happy that I stumbled upon this gem of a brewery and I look forward to the next time I make it back to the Big Island. If I am on this Island again I will always hit up this spot and you should too! 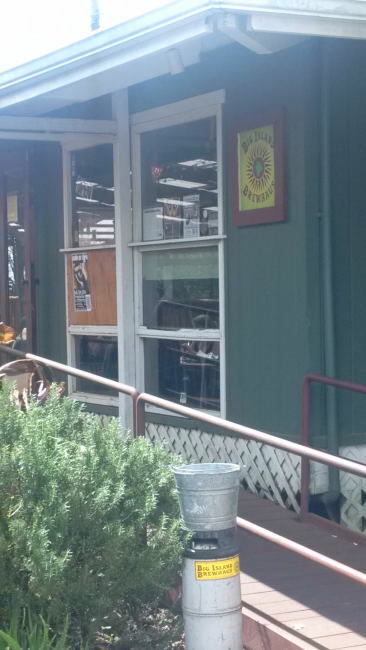 This entry was posted in Brew Pub, Brewery and tagged big island, big island brewhaus, brewbup, brewery, brewhaus, flavor, flavorfull, flavour, flavourful, food, hawaii, kamuela, mexican, tako taco taqueria.